Want a guilt-free way to indulge yourself with food while exercising? Snowshoeing and cross-country skiing are known as the best forms of aerobic exercise, but if you go on a “Gourmet Ski and Snowshoe Tour” on your snowshoes or XC skis, you may very well eat your way to fitness at a number of trailside food stops. What a grand time so go ahead, eat, ski, and be merry – appetizers, wine, champagne, fondue, entrees, desserts, and more. Eastman Cross Country’s Nordic Nibbles in Grantham, N.H. on Jan. 15 has a Scandinavian theme with a visit to a fire pit at each stop for cheese from a local smokehouse, chocolate, gingerbread cake and pastries, local dairy milk for hot cocoa, soup, and the main meal from 11 a.m. to 1 p.m. The Sweetheart’s Chocolate Tour at Bretton Woods on Feb. 11 has a self-guided tour that stops for sweets from 10 a.m. to 4 p.m. And enjoy the Sweetheart’s Ski or Snowshoe Tour by candlelight from 7 p.m. to 8 p.m. that evening. Dartmouth Cross Country Ski Center‘s “Howl at the Moon” event is a walk/snowshoe event at night on a short golf course path lit by torches and fire pits hosted by local restaurants in Hanover, N.H. on Friday, February 3. The Chocolate Festival at Mt. Washington Valley Ski & Snowshoe Center in Intervale, N.H. on Feb. 26 is an inn-to-inn affair at 10 to 12 stops to experience your chocolate fantasies including moose and fondue. Go on a tour of any length and actually gain calories, even if you ski as far as 20 kilometers. A shuttle is also available for those that have overindulged. The Upper Peninsula of Michigan in Ironwood features cuisine from local restaurants that can be purchased at a nominal fee along a designated route along the ABR Trails at the Taste of the Trails event set for March 3. 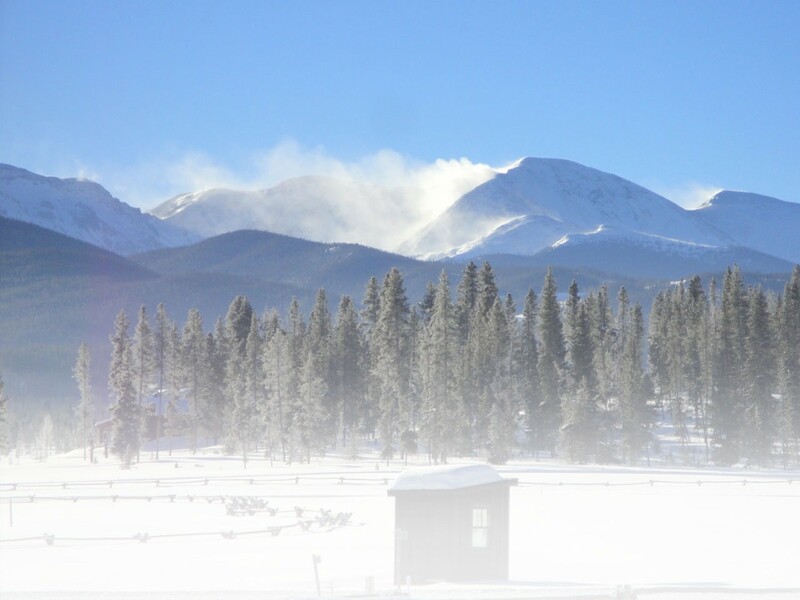 Devil’s Thumb Ranch in Tabernash, Colo. hosts the GrandHuts.org Progressive Dinner on Feb. 4 with a five-course meal at three outposts. The tour starts at 5:30 p.m. and 6:30 p.m. and then participants will return to the lodge for live music. Read Snowshoe Magazine’s experience at Devil’s Thumb last season, click here. Just Desserts Eat & Ski & Snowshoe at the Enchanted Forest in Red River, N.M. on Feb, 25 features goodies from 20 different local restaurants at three trailside stations with up to 100 desserts within a four-kilometer loop. Also the Headlamp Snowshoe Cookout Tour is a new monthly affair on Jan. 14, Feb. 18, and March 17. The Crested Butte Nordic Center has Sunday Brunch at the Yurt reached by a two-kilometer snowshoe or ski tour, the Full Moon Dinner at the Yurt, Valentine’s Dinner, and Fundraiser Dinners are also on scheduled dates. Look to the Galena Lodge in Ketchum, ID for the Full Moon Dinners on nights associated with the full moon Dec. 9-10, Feb. 5-7, March 8-10) whereby you can go ski or snowshoe (half price rental gear offered) and then return to lodge for a four-course dinner at $40 or half price for kids under 12. Lone Mountain Ranch in Big Sky, Mont. has a trailside one-stop buffet every Friday that can be reached on foot, snowshoes, or skis located so that one can either begin or finish their outing with the feast. Tahoe Cross Country‘s Gourmet Tour in Tahoe City, Calif. on March 11 is a two-hour affair (1 p.m. to 3 p.m.) to sample a dozen of Lake Tahoe’s finest north shore restaurants featuring stops for seafood, crab cakes, soup, wine and pasta. And on Jan. 1, ski or snowshoe to the Lakeview Trail for a hearty breakfast meal, and BBQ on the trail on both Feb. 18 and March 18. Cypress Mountain outside of Vancouver, B.C. has Chocolate Fondue Tours on Friday, Saturday, and Sunday nights starting at 6:30 p.m. and the Cheese & Chocolate Fondue Tour on Fridays and Sundays at 6 p.m. to 10 p.m. Snowshoe and ski tours are organized by pre-registration. For details about these locations, visit www.XCSkiResorts.com. This entry was posted in Après-snowshoe, Features, Homepage Featured by Roger Lohr, XCSkiResorts.com. Bookmark the permalink.